The study showed that such campaigns made unique propositions to the customer and that this convinced them to switch brands. Today the term is also used in other fields and is a globally accepted term for something (in this case marketing campaigns) that differ from others of its kind. Many businesses fail to carefully define who they are in the business world. They often times will continue selling their product or service until the money runs out. Without clearly developing a positive position among consumers, a company will fail. Positioning is determining how a consumer will see a brand (tangible good or service) in comparison to its competition. A position is often described as the meaningful difference between the brand and its competitors. By utilizing USP development, you can aim to achieve success by directly targeting people with a particular need and offering a solution. This will provide much more value to consumers from your brand and allow others to come to you for a specific purpose. The positioning statement is a subset of a value proposition. It optimizes the proposition for marketing communications purposes and identifies the target audience, the product and its category, specific benefits. It is differentiated from the nearest competitive alternative. It is an internal, non-emotional statement that becomes the messaging cornerstone of an integrated marketing campaign. 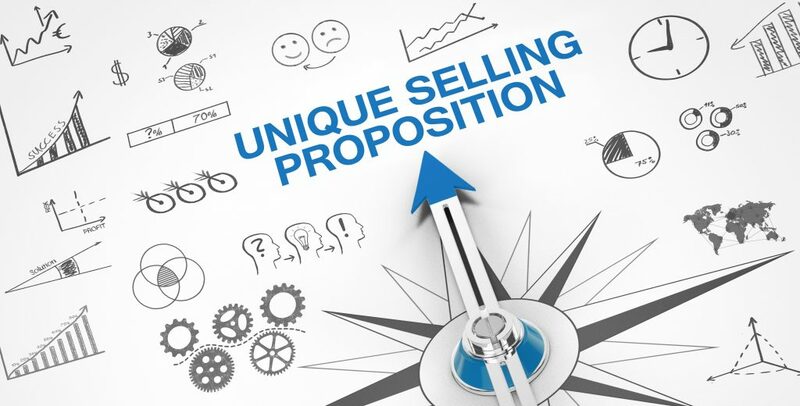 There is often confusion between value propositions and positioning statements. While they are often used interchangeably, it is important to understand the differences. Value propositions encapsulate a summation of benefits and prices offered to multiple market segments. Positioning statements, in turn, represent a plea for single-mindedness and an opportunity to be focused on one audience at a time while exercising only a relevant defining benefit. Understanding this complex market of opportunity can seem like a handful, so why not consider allowing an industry expert to oversee the process instead? We all know that USP’s can make or break a company, and risking the confusion can create a consumer crisis, both of which are best avoided. IMG can strategically integrate your own USP into your entire business model. Please contact Isaacs Marketing Group for more information on how they can integrate your USP development today.